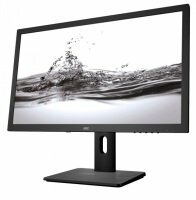 Reliable, efficient and capable of delivering stunning image quality, Ebuyer's range of AOC monitors delivers everything you need in the screen department. 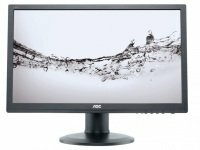 Not only do AOC's monitors look great on your desktop, they allow your photos, videos and games to truly shine. 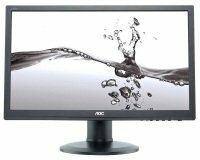 Available in a range of sizes, from modest office compatible to desk-spanning giants, AOC's monitors combine a sharp visual aesthetic to match their impressive full HD picture quality. With so much work and entertainment reaching us through our screens, features such as full colour consistency and wide angle viewing are not to be underestimated. AOC's monitors are easy to set up right out of the box with a wide range of input connections that give you the flexibility to choose how you want to plug and play. 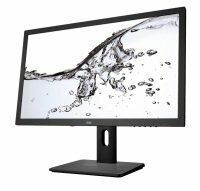 Once it's up and running, you'll have a high contrast, fast-response monitor with low energy consumption that will look great in both office and home.